3 Minds Digital is looking to hire a Social Media Manager. Is sports your thing or are you sportive to take on any challenges? Does bad design and cheesy content drive you crazy or are you crazy enough to break the norms? Can you create a bank of content and can we bank on you for that? Do you live to eat and feed your mind, body, and soul with some delicious content? Is there something, a passion, or a vision or a mission that drives you so much, that you’d do everything to manifest it to reality? Do you eat, sleep, breathe that passion of yours and can you inspire millions to believe in the same? If YES, then welcome aboard! 3 Minds Digital is on a hunt for a Social Media Manager. 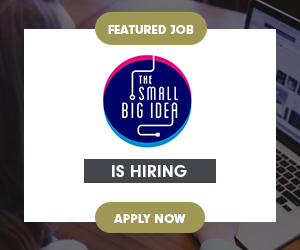 We are looking for someone who is passionate about what they do, what they believe in and have a unique personality to themselves that drives them to produce creative content. Being passionate: it could be about anything on this planet. You must also be able to grow followers and engagements on social media platforms of all sorts. Right Attitude: Having the right kind of attitude— being nothing but the best is a key quality we’re rooting for. One must be able to outshine the competitors and meet the given targets. An Entrepreneurial mind is the one who can work independently and proactively, manage the community and social media pages of any brand. A people’s person: With an ability to multitask, and manage multiple projects at a time, working in a team is also important, not just the marketing team. Skill to break plans into tasks and keeping a hawkish eye on timely delivery of tasks. Have had experience in building content calendars and identifying other parameters when it comes to digital marketing and social media. Work closely with the marketing team to develop appropriate engagement strategy for our clients and the brand. First copy Shakespeare: A proficiency in building creative content along with excellent verbal and written communication skills to interact with clients and produce content for blogs, posts, etc. Keen eye for detail, a grammar nazi, desire for visual storytelling and creative knowledge in design will be the icing on the cake. Good knowledge about the analytics and social reporting will be a plus. You must be up-to-date with all the platforms and have knowledge about posting online. We are looking for a game changer! Your primary role will be to create, curate, moderate, promote and advocate social media content for our clients. You will visualize social media marketing campaigns and work along with our marketing and design teams to make them a reality. 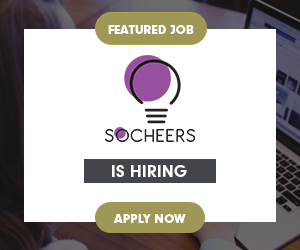 This role suits best to a proactive, dynamic personality with exemplary written and oral communication skills. You should be a people’s person and tech-savvy to lead a conversation in a group of any size or magnitude. You should be a multitasker, social media freak, and have a positive attitude towards your work. Note: Candidates should have their own laptop.